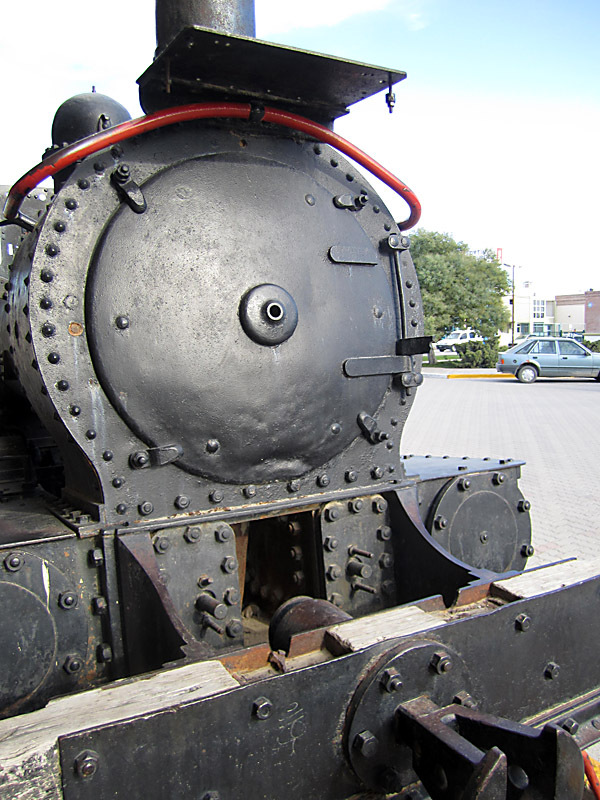 Details of the surviving Beyer Peacock 2-6-0 at Puerto Madryn. These photos of Beyer, Peacock 2-6-0 number 2964 of 1888, FCCC number 3, are provided for the benefit of modellers and anyone else who is interested in the detailed design of such a loco. They were taken in May 2011. 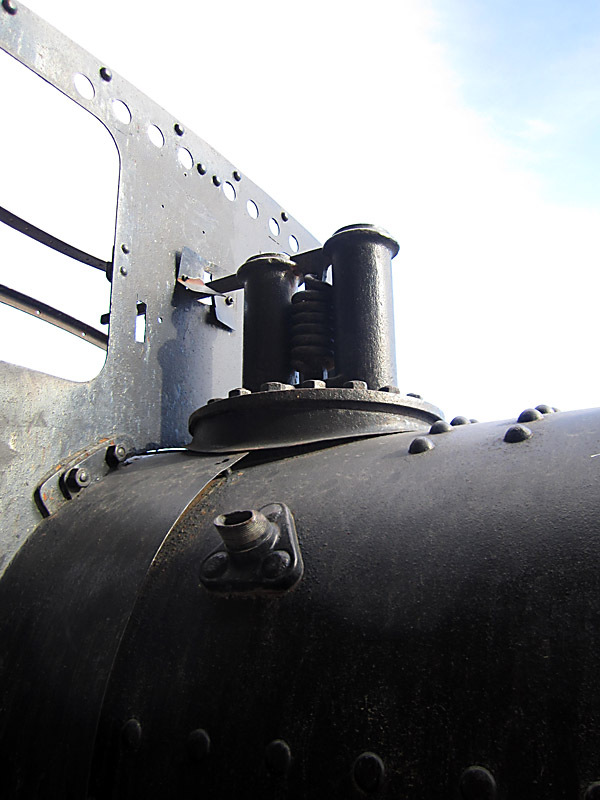 The front end showing the sloping smokebox front and the running board terminating at the front of the cylinders. 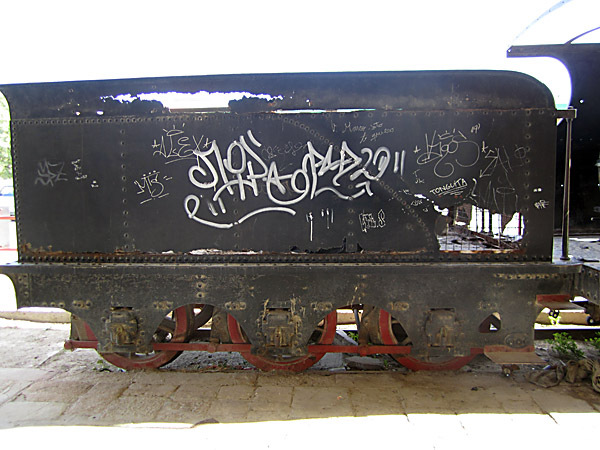 The cabside. 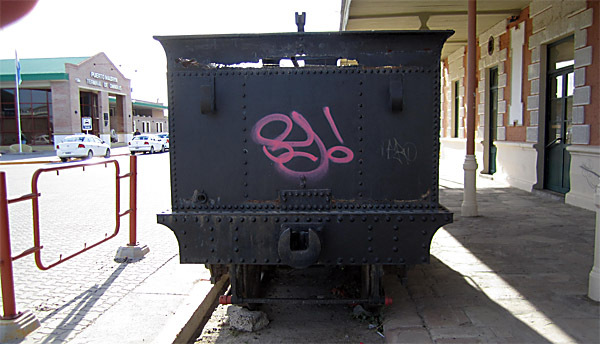 The later locos had a different shape of cut-out. The other side of the cab. The very fragile tender body. 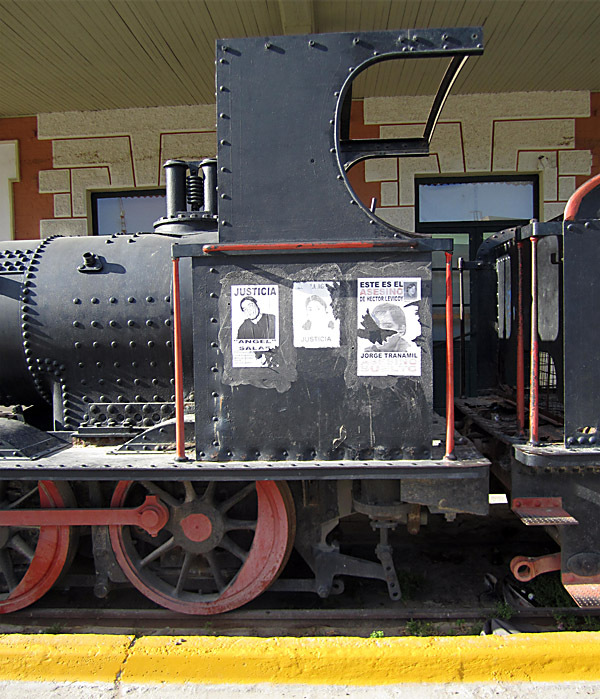 The back end of the tender. 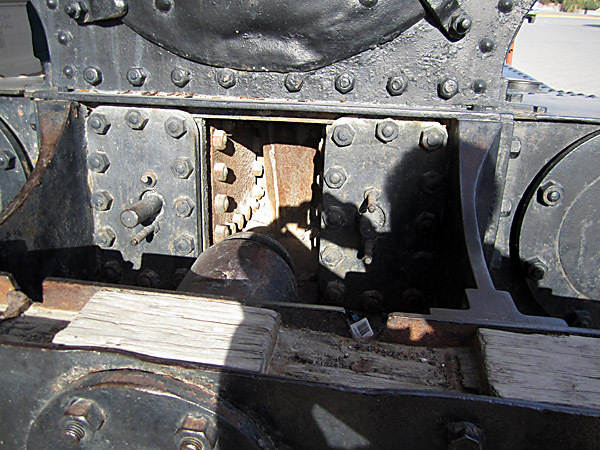 Inside the cab, showing the reversing lever on the right hand side. 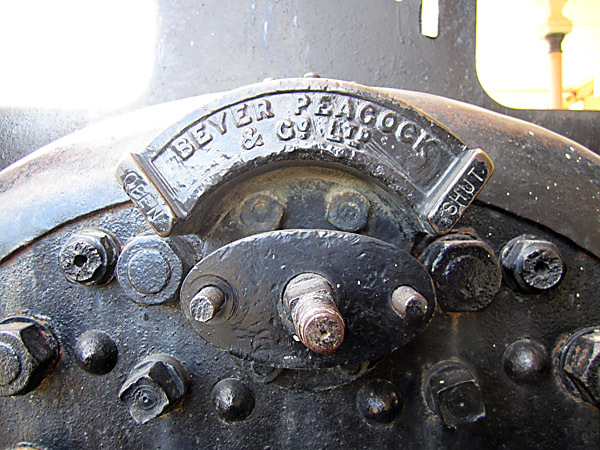 The characteristic Beyer, Peacock regulator valve guide, bearing the company name. 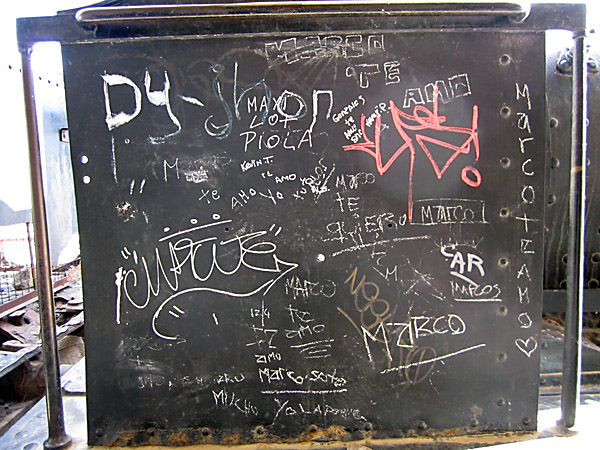 A close-up view of the right hand cab side panel. 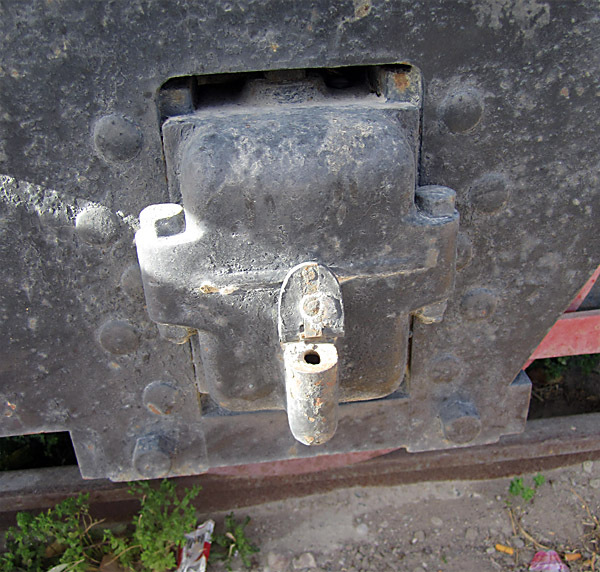 A number of numberplate and nameplate fixing holes are visible. 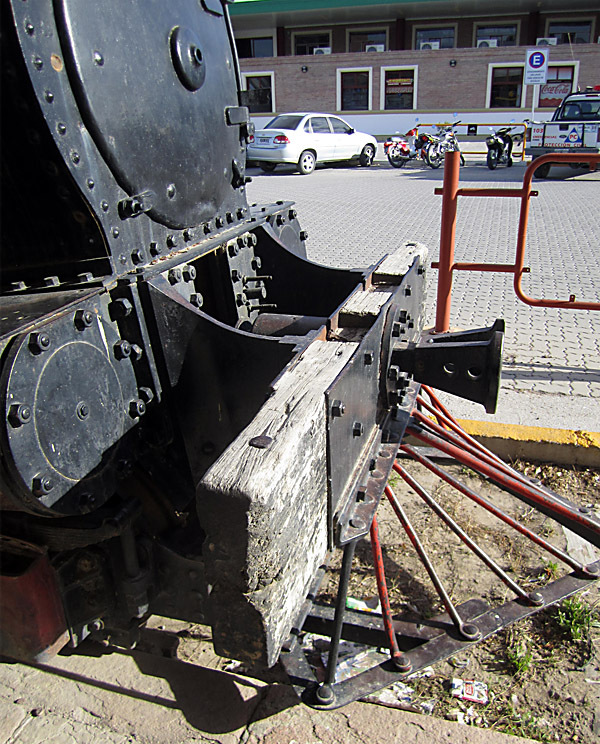 The safety valves, and ventilation holes at the top of the spectacle plate. 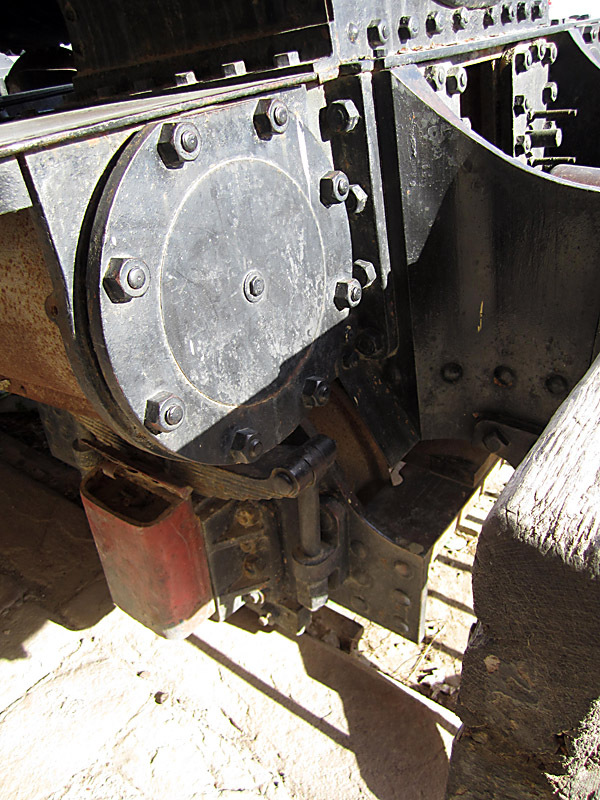 The rods and driving wheels. 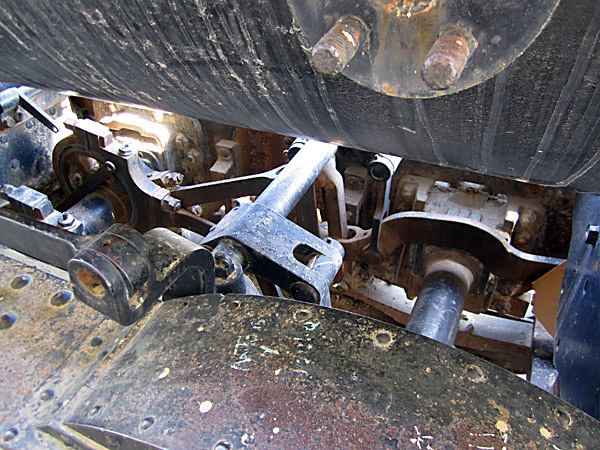 Looking down between the frames to the inside Allan straight link motion. 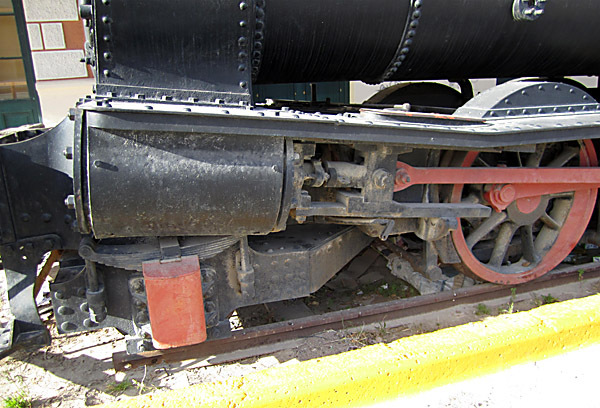 A side view of the right hand cylinder and the pony truck. 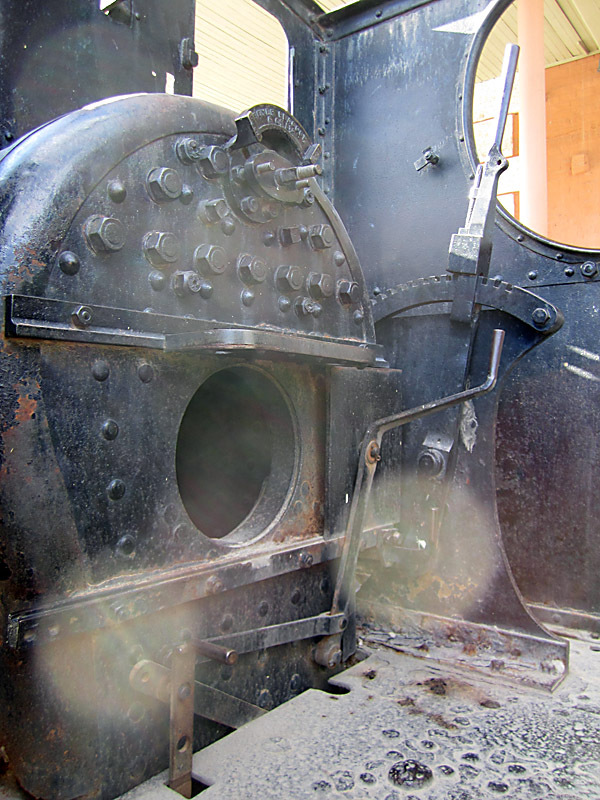 The smokebox door, showing the four fixing dogs. 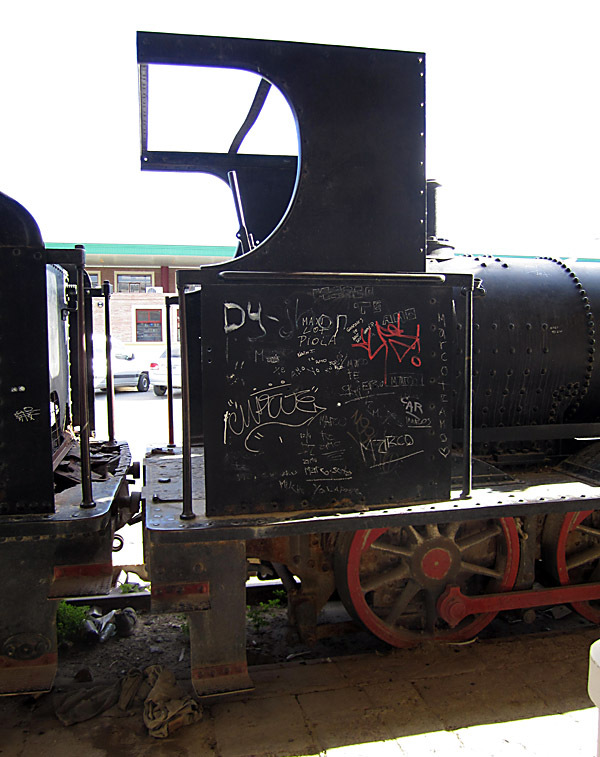 The wooden buffer beam and the cow-catcher. 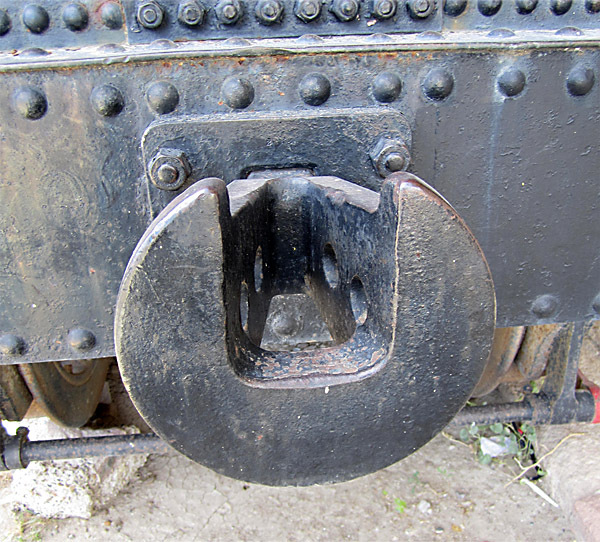 The front of the right hand cylinder. The valve chest covers between the frames. 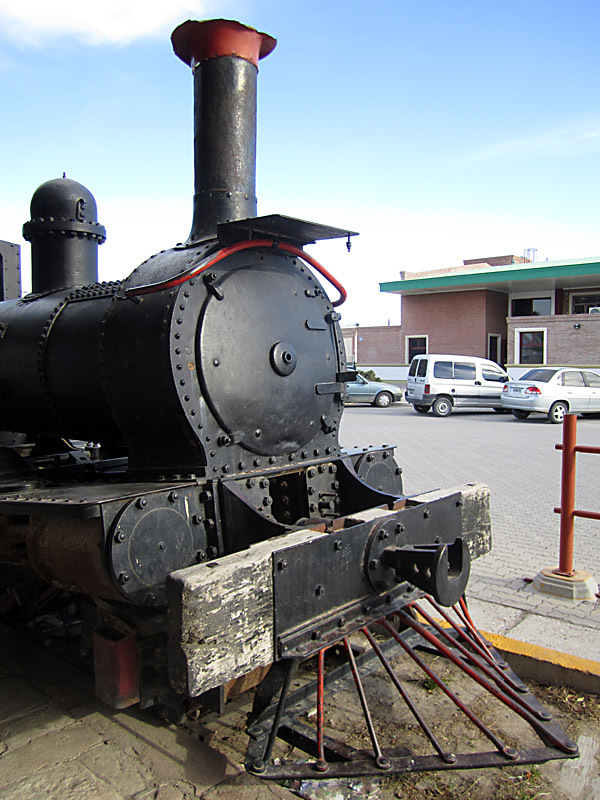 The left hand cylinder, and the pony truck. 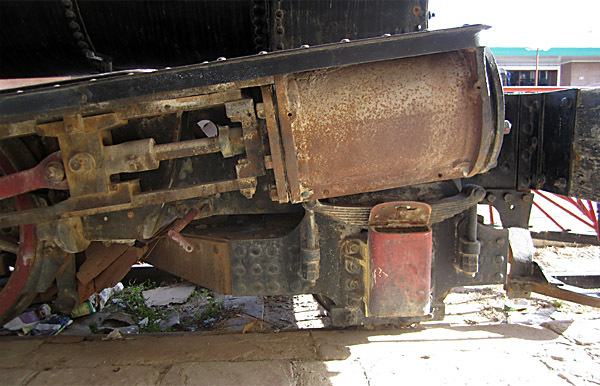 A tender axlebox, with it's oil filler. The tender chopper coupling, now missing its chopper.